KARACHI: Chief of Army Staff (COAS) General Raheel Sharif said Monday that action should be taken against all criminals without any distinctions based on political, religious or sectarian lines. 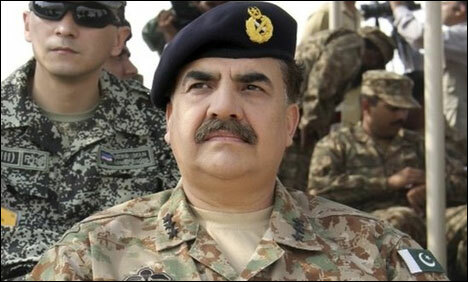 The army chief also stressed on the need to depoliticise the police force in Karachi for permanent peace in the city. The army chief was in the city to attend the meeting of the Sindh Apex Committee, chaired by Prime Minister Nawaz Sharif and also attended by Corps Commander Karachi Lieutenant General Naveed Mukthar, Pakistan People’s Party (PPP) Co-Chairman Asif Ali Zardari, Governer Sindh Dr.Ishrat ul Ibad, Chief Minister Sindh Qaim Ali shah, DG ISI Lieutenant General Rizwan Akhtar, and other ministers. During the meeting overseeing implementation of the National Action Plan (NAP), the PM and COAS will also be briefed on the Baldia Town factory Joint Interrogation Report (JIT), sources said. Speaking to the Sindh Apex Committee, the Army chief said that it was critical to depoliticise the police force in Karachi, and that there should be no political interference in postings and transfers of police officers. He also stressed that action should be taken against criminals above all kinds of political, religious and sectarian lines. Karachi plays an important role in the country’s overall economy, he said. Peace in Karachi means peace in the entire country, for which effective measures need to be taken, he added. The army chief said an atmosphere of peace was created because of the Rangers-led operation, and that political forces need to also play their role for permanent peace in Karachi. The consensus of all stakeholders is critical for the peace of Karachi, he said. He also stressed on the need for improved coordination between intelligence and law enforcement agencies. The COAS also visited the Rangers Headquarters in Karachi today where he was briefed by DG Rangers on the law and order situation in Karachi as well as the operation being carried out to eliminate criminal elements from the city. Gen Raheel said that all possible resources should be provided to restore and maintain security and peace in the city, and that the army will go to any length to restore peace in Karachi. According to the Inter-Services Public Relations (ISPR), the COAS also commended the performance of the Rangers, police, as well as intelligence agencies.